Chrétien de Troyes (French: [kʁe.tjɛ̃ də.tʁwa]) (1135?–1185?, (fl. c. 1160–1191) was a French poet and trouvère known for his writing on Arthurian subjects, and for possibly originating the character of Lancelot. Chrétien's works, including Erec and Enide, Lancelot, Perceval, and Yvain, represent some of the best-regarded of medieval literature. His use of structure, particularly in Yvain, has been seen as a step towards the modern novel. Little is known of his life, but he seems to have been from Troyes or at least intimately connected with it. Between 1160 and 1172 he served (perhaps as herald-at-arms, as Gaston Paris speculated) at the court of his patroness Marie of France, Countess of Champagne, daughter of King Louis VII and Eleanor of Aquitaine, who married Count Henry I of Champagne in 1164. Later, he served the court of Philippe d'Alsace, Count of Flanders. Chrétien's works include five major poems in rhyming eight-syllable couplets. Four of these are complete: Erec and Enide (c. 1170); Cligès (c. 1176); Yvain, the Knight of the Lion; and Lancelot, the Knight of the Cart, the latter two written simultaneously between 1177 and 1181. Yvain is generally considered Chrétien's most masterful work. Chrétien's final romance was Perceval, the Story of the Grail, written between 1181 and 1190, but left unfinished, though some scholars have disputed this. It is dedicated to Philip, Count of Flanders, to whom Chrétien may have been attached in his last years. He finished only 9,000 lines of the work, but four successors of varying talents added 54,000 additional lines in what are known as the Four Continuations. Similarly, the last thousand lines of Lancelot were written by Godefroi de Leigni, apparently by arrangement with Chrétien. In the case of Perceval, one continuer says the poet's death prevented him from completing the work; in the case of Lancelot, no reason is given. This has not stopped speculation that Chrétien did not approve of Lancelot's adulterous subject. There are also several lesser works, not all of which can be securely ascribed to Chrétien. Philomela is the only one of his four poems based on Ovid's Metamorphoses that has survived. Two short-lyric chansons on the subject of love are also very likely his, but the attribution of the pious romance Guillaume d'Angleterre to him is now widely doubted. It has also been suggested that Chrétien might be the author of two short verse romances titled Le Chevalier á l'épée and La Mule sans frein, but this theory has not found much support. Chrétien names his treatments of Ovid in the introduction to Cligès, where he also mentions his work about King Mark and Iseult. The latter is presumably related to the legend of Tristan and Iseult, though Tristan is not named. Chrétien's take on Tristan has not survived, though in the introduction of Cligès, Chrétien himself says that his treatment of Tristan was not well received, possibly explaining why it does not survive. Chrétien's works are written in vernacular Old French, although it is marked by traits of the regional Champenois dialect (which is still fairly similar to the "standard" French of Paris). The immediate and specific sources for his romances are uncertain, as Chrétien speaks in the vaguest way of the materials he used. Geoffrey of Monmouth or Wace might have supplied some of the names, but neither author mentioned Erec, Lancelot, Gornemant and many others who play an important role in Chrétien's narratives. One is left to guess about Latin or French literary originals which are now lost, or upon continental lore that goes back to a Celtic source in the case of Béroul, an Anglo-Norman who wrote around 1150. For his Perceval, the Story of the Grail, the influence of the story is clearly tied to the story of Saint Galgano (Galgano Guidotti) who died in 1180-1181 and was canonized in 1185: a knight struck by god's vision, planted his sword in the ground that immediately solidified (kept in Abbey San Galgano). However, Chrétien found his sources immediately at hand, without much understanding of its primitive spirit, but appreciating it as a setting for the ideal society dreamed of, although not realized, in his own day. And Chrétien's five romances together form the most complete expression from a single author of the ideals of French chivalry. Though so far there has been little critical attention paid to the subject, it is not inaccurate to say that Chrétien was influenced by the changing face of secular and canonical law in the 12th century. This is particularly relevant for his Lancelot, the Knight of the Cart, which makes repeated use of the customary law prevalent in Chrétien's day. William Wistar Comfort praised de Troyes' "significance as a literary artist and as the founder of a precious literary tradition [which] distinguishes him from all other poets of the Latin races between the close of the Empire and the arrival of Dante." Chrétien's writing was very popular, as evidenced by the high number of surviving copies of his romances and their many adaptations into other languages. Three of Middle High German literature's finest examples, Wolfram von Eschenbach's Parzival and Hartmann von Aue's Erec and Iwein, were based on Perceval, Erec, and Yvain; the Three Welsh Romances associated with the Mabinogion (Peredur, son of Efrawg, Geraint and Enid, and Owain, or the Lady of the Fountain) are derived from the same trio. Especially in the case of Peredur, however, the connection between the Welsh romances and their source is probably not direct and has never been satisfactorily delineated. Chrétien also has the distinction of being the first writer to mention the Holy Grail (Perceval) and the love affair between Queen Guinevere and Lancelot (Lancelot), subjects of household recognition even today. There is a specific Classical influence in Chrétien's romances, the likes of which (the Iliad, the Aeneid, the Metamorphoses) were "translated into the Old French vernacular during the 1150s". Foster Guyer argues that specifically Yvain, the Knight of the Lion contains definite Ovidian influence: "Yvain was filled with grief and showed the Ovidian love symptoms of weeping and sighing so bitterly that he could scarcely speak. He declared that he would never stay away a full year. Using words like those of Leander in the seventeenth of Ovid's Epistles he said: 'If only I had the wings of a dove/to fly back to you at will/Many and many a time I would come'." Chrétien has been termed "the inventor of the modern novel". Karl Uitti argues: "With [Chrétien's work] a new era opens in the history of European story telling… this poem reinvents the genre we call narrative romance; in some important respects it also initiates the vernacular novel." A "story" could be anything from a single battle scene, to a prologue, to a minimally cohesive tale with little to no chronological layout. Uitti argues that Yvain is Chrétien's "most carefully contrived romance��� It has a beginning, a middle, and an end: we are in no doubt that Yvain's story is over." This very method of having three definite parts, including the build in the middle leading to the climax of the story, is in large part why Chrétien is seen to be a writer of novels five centuries before novels, as we know them, existed. ^ "Chrétien de Troyes (1135?-1185?)". fraceculture.fr. Retrieved January 20, 2019. ^ "Four Arthurian Romances". gutenberg.org. Retrieved March 29, 2007. ^ "Chrétien de Troyes". agora.qc.ca. Retrieved January 20, 2019. ^ "Background Information on Chrétien de Troyes's Le Chevalier de la Charrette". princeton.edu. Retrieved January 20, 2019. ^ Chrétien; Cline, Ruth Harwood (1975-01-01). Yvain: or, The knight with the lion. Athens: University of Georgia Press. ISBN 0820303275. ^ Grigsby, John L. (1991). "Continuations of Perceval". In Norris J. Lacy, The New Arthurian Encyclopedia, pp. 99–100. New York: Garland. ISBN 0-8240-4377-4. ^ "A Companion to Chrétien de Troyes". books.goole.ca. Retrieved January 20, 2019. ^ Frappier, Jean (1974) . "Chrétien de Troyes". In Loomis, Roger Sherman. Arthurian Literature in the Middle Ages: A Collaborative History. Oxford: Clarendon Press. p. 159. ISBN 0198115881. ^ a b Owen, D. D. R. (trans.) (1987). Chrétien de Troyes Arthurian Romances. London: Dent. p. x. ISBN 0460116983. ^ Arthur, Ross G., ed. (1996). Three Arthurian Romances: Poems from Medieval France. London: Everyman. p. 211. ISBN 0460875779. ^ Johnston, R. C.; Owen, D. D. R., eds. (1972). Two Old French Gauvain Romances. Edinburgh: Scottish Academic Press. pp. 23–26. ISBN 0701118717. ^ "William Wistar Comfort Papers 1867-1941". Haverford College. Retrieved 17 January 2016. ^ Guyer, Foster Erwin (1960). 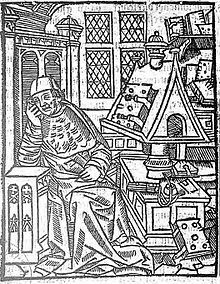 Chrétien de Troyes: Inventor of the Modern Novel. London: Vision Press. p. 101. Retrieved 1 June 2014. M. Altieri, Les Romans de Chrétien de Troyes: Leur perspective proverbiale et gnomique (1976, A G Nizet, Paris). Jean Frappier, Chrétien de Troyes: The Man and His Work. Translated by Raymond J. Cormier. Athens, Ohio: Ohio University Press, 1982. Gerald Seaman, "Signs of a New Literary Paradigm: The 'Christian' Figures in Chrétien de Troyes," in: Nominalism and Literary Discourse, ed. Hugo Keiper, Christoph Bode, and Richard Utz (Amsterdam: Rodopi, 1997), pp. 87–109.